We live in an HOA community and are thinking about selling our home. In order to avoid any delays in the sale, I contacted our HOA management company for a copy of our to make sure there are no errors or liens to delay the sale. I was told that I needed to visit their office and that there may be a fifteen cent per-page charge. They are required to make this information available, but not required to send it to us. This is a hassle for me to drive down for the file. Why does this process have to be so difficult for homeowners to obtain a copy of the file? Why can’t they make the information easily accessible? I really don’t have time to play this game. The year is 2017. It’s an amazing year of technology that provides transparency for those living in the United State. Transparency is: Free, Unlimited, Ease of access to all your information any time day or night and from any location. HOA’s are required by law to provide you access to information about your association. Items such as: Lot file, Financials and other documents. But many HOA’s require the homeowner to jump through hoops and pay for this information. In other words, HOAs discourage transparency. Americans have come to expect and even demand this transparency in our: Banks, Schools, Insurance companies, and in our Government. We want to know all that is going on and expect the information now. We don’t have time to request, pay and wait to locate the details/documents that should be stored on a secure web site and obtainable with the click of the mouse. Why pay twice for the same service? The HOA management company charges the homeowner a monthly/quarterly fee for their services, and then they may charge you for information that you pay them to maintain. This is a great business model to generate profits and discourage transparency. Imagine your insurance company charging you a monthly premium, and then charging you for copies of your policy, payment history, claim status, etc. You (the homeowner) have little choice than to pay twice and follow your HOA’s rules to obtain information about the association you live in. You are a captive audience. After all, you cannot switch management companies, but are forced to work with the management company your board selected. There is a group of citizens with the goal of changing this. The Arizona Home Owners Coalition (ACHOC) is a group of private citizens working with Arizona Legislators to hold Home Owners Associations boards and their management companies accountable. Below is a proposed bill by AZHOC to provide information at no cost to the homeowner. All financial and other records of the association shall be made reasonably available for examination by any UNIT OWNER or any person designated by the UNIT OWNER in writing as the UNIT OWNER’S representative. The association shall not charge a UNIT OWNER or any person designated by the UNIT OWNER in writing for making material available for review. The association shall have ten business days to fulfill a request for examination. This law would be a great first step for Homeowners. This would force management companies to work with and not against homeowners to make this information available on their secure web site. Your HOA lot file is your credit report for your home. Errors left uncorrected can really hurt you. The best time to fix errors is before they turn into liens or hold up the sale of your home. Your Lot file is maintained by humans and prone to errors. Maybe your file contains violations against your home for your neighbor’s garbage cans being left out or for weeds in the yard of a person with the same house number but on a different street. The only person who can fix this is the homeowner. Right now you have no choice but to play their game. I would suggest you take a long lunch from work and drive to your management company, pay their fee for a copy of your records and if necessary, ask them to correct your LOT file for errors. The process of correcting errors will take time and effort and much follow up. Stick with it, they have nothing to lose for an incorrect LOT file, you have much to lose. What happens if there is an error in your credit report, or retirement account or mortgage statement? The government protects us by forcing these companies to fix errors and fix them quick and at no cost to the consumer. Not so for homeowners in Arizona at this time. Wouldn’t it be great if homeowners had this same protection from HOA management companies? Maybe video recording of all board meetings? Do you have a Dear AZHOC story you would like to share? Tell us your story on our Contact page. If you purchase a condominium or co-op, your board may require you to buy condo insurance or home insurance. Be sure to check with your board to see what type of policy is required. 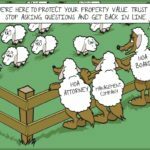 There needs to be a one source database of current lawsuits against any particular HOA in any county – other than going through county court records which are usually behind. The AARP wrote a good primer on the duties of HOA’s in Florida. There is a Seminole case in District Court of homeowners winning against HOA foreclosure – wherein they assert they have first priority lien over mortgages to foreclose. The maricopa county general’s office gave me the name of a company that audits HOA records if you make a claim or request for audit – I lost the name because after I threatened to have this done, my issues were resolved by HOA. Does anyone know what company does this as an advocate for homeowners in Arizona? Our HOA year end budget looks drastically off – the numbers and justication for costs and special assessments look bogus, but I have no comparison or rule of law to refer to check. Jthanks Nancy I am facing the same problem. I would to find and advocate also. The Casa Grande Lakes HOA refuses to allow anyone access to the books, records , or tax returns. They are self managed, no one can even see the ballots. They told us we could see all the stuff then quickly called executive session . I smell a serous problem. They even pay themselves to serve and don’t get a 1099.. Can you see the issues that I see? If you have any questions or would like some help with an HOA issue please feel free to contact us. These are actually part of the disclosure documents that associations are required to provide potential unit buyers prior to closing. Unfortunately just because it is a law for HOA’s does not guarantee compliance. Your “lot info” can usually be foundon the financials given to the board members. Ask a member. If your HOA maintains a web site ( as mine does ), that is another avenue for easy access. Go to a board meeting & ask questions !